On 13 October 2018, LVGEM Mangrove Bay No.1 was launched for sale in a sales center. 345 flats with area ranging from 83 to 167 ㎡ were put for sale. Nearly 500 prospective buyers participated in the lottery. The project posted a selling rate of around 70% that day. 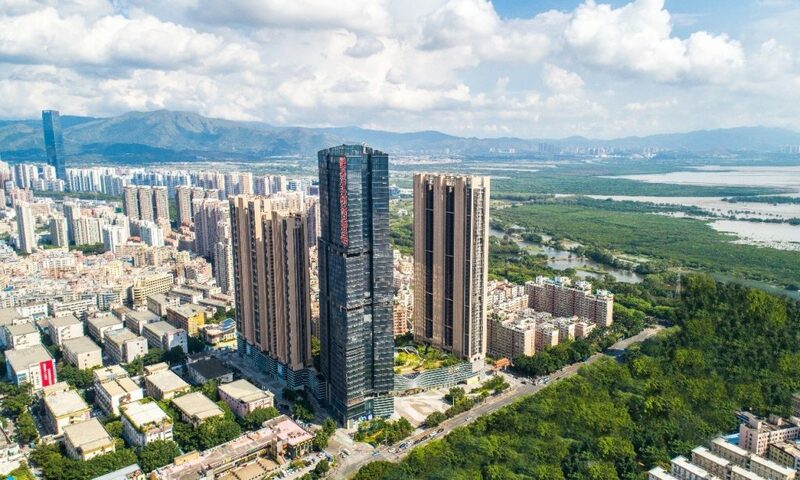 The impressive sales result achieved in this sluggish market not only reflects buyers’ attention to the project and recognition of its value but also proves that Shenzhen market is still optimistic about LVGEM’s quality property projects and its urban resources. LVGEM Mangrove Bay No.1 launched 345 flats with area ranging from 83 to 167 ㎡, including five different layouts of flats in area of 83㎡, 84 ㎡, 87㎡, 137 ㎡ and 167 ㎡. It is found that buyers who came on the first day of launch were mainly the elites of financial and Internet sectors from Futian, Luowu, Nan Shan and other regions of the Shenzhen Special Economic Zone. Among those buyers, over 80% of them hoped to satisfy their self-occupation needs. They are bullish about the project location and its surrounding facilities. The sales personnel of the project said LVGEM Mangrove Bay No.1 is sold upon full completion and this is the major reason why the project registered overwhelming sales performance. The project will be ready for occupation by March 2019, which means that buyers can move in the residence 1-2 years earlier than those who bought other pre-sale commodity residences out there in the market. Also, they can save housing loans for up to 1-2 years. 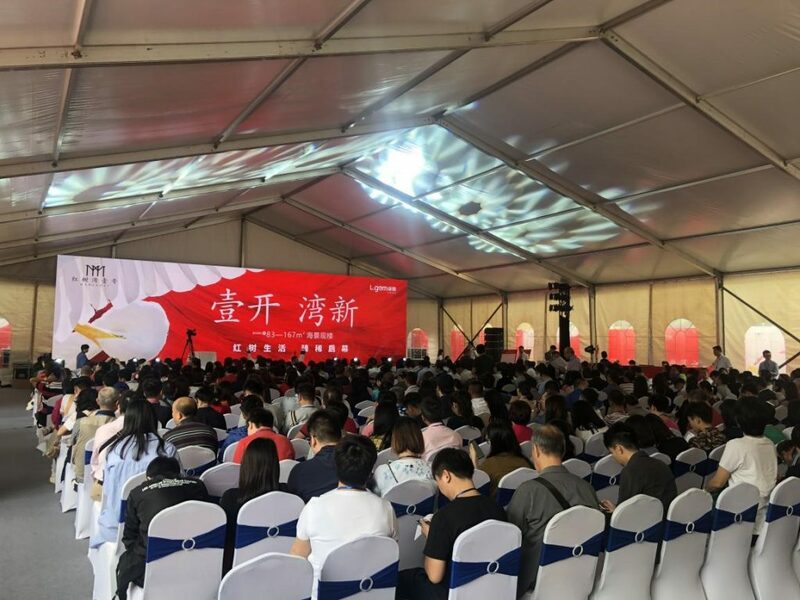 The launch of LVGEM Mangrove Bay No.1 also attracted the attention of local residents because it is the first residential project lauched in Futian Great Golden Sand area and therefore is a paradigm for similar projects in the region. According to publicly available information, LVGEM Mangrove Bay No.1 sits at Futian Golden Sand area, adjoining the Mangrove Nature Reserve to the south with a breathtaking seaview and view of the Hong Kong Wetland Park, a golf course to the north, and a 15-km coastal strip of Shenzhen Bay to the west. More importantly, it is the only project enjoying ocean view and the first project in Shenzhen applying large-scale planning and reform. The government has invested 30 billion dollars in the “futuristic planning”, aiming to build it into a multi-functional destination suitable for living, work and travel as well as a dynamic, industry-city-integrated, lakeside area in the Greater Bay Area. It is widely known that Futian boasts premium urban resources of culture, education, business and healthcare. The educational resources, in particular, Futian owns have made Shenzhen a well-deserved, great education city. With respect to new flats supply, Futian has been offering limited housings in Shenzhen where every inch of land has a high price. Every year only a few projects are launched and most of them are high-end apartments customized for a small number of people, leaving less opportunities for elites to realize their dream of taking root in the CBD. LVGEM Mangrove Bay No.1 launched a great number of residential flats, bringing changes to the CBD where commercial flats dominate, and ensuring elites to live comfortably in spacious environment at reasonable price and to enjoy the beautiful Mangrove Reserve, high-end healthcare and educational resources and other facilities of the city.